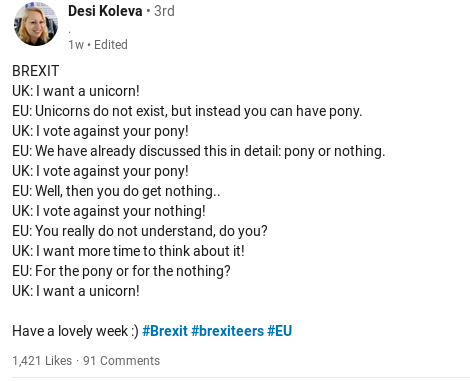 This, I think, is a must see for everyone concerned about #Brexit, modern #politics, #democracy and/or the #EU. Carole Cadwalladr is a journalist and she has investigated the influence of facebook on the Brexit referendum. She went back to her hometown, because the majority there voted to leave the EU, despite the facts that there are almost no immigrants and they have massively benefited from the EU because it has made massive investments in the region. "In the light of their benefits, why on earth have they voted to leave?" is the question she is asking. She is trying to find what it is that has been told to these people. Remember, the people voted for 'leave' by only a narrow margin of a few percent while you watch how social media have targetted specific adverts at specific people. Only a few percent is enough! And all this is going on without democratic control on how much money is spent, where it came from and who is shown what. The process of influencing elections is out of sight and out of control. To be realistic: We have no idea how much influencing on a massive scale is going no, nor can we reconstruct it. 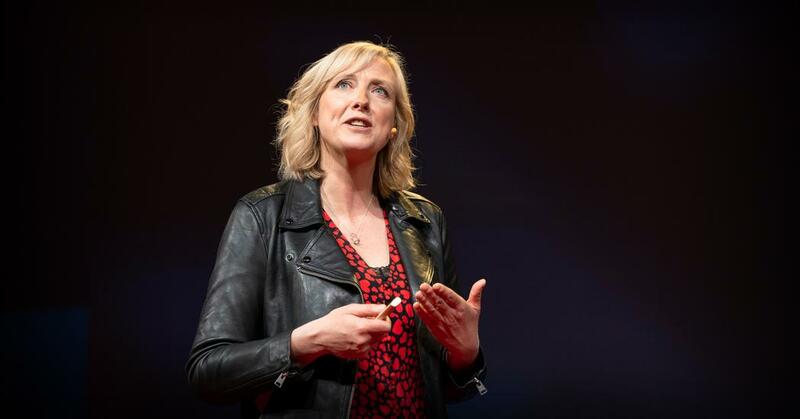 Carole Cadwalladr about #Facebook's role in #Brexit — and the threat to #democracy... Great #TED talk. Tom Watson is right. 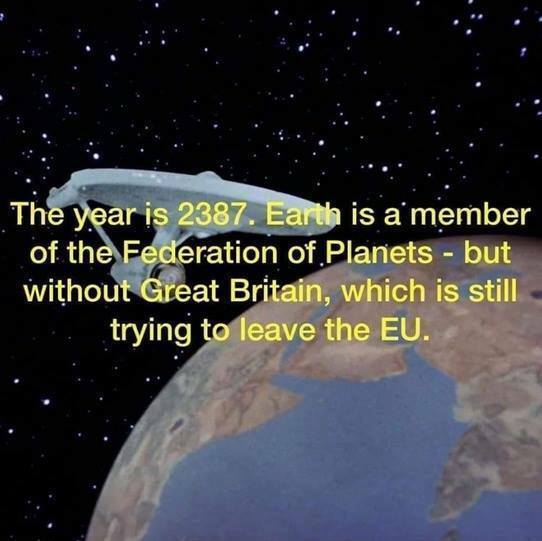 We need another #brexit referendum because things have changed since 2016. A lot. 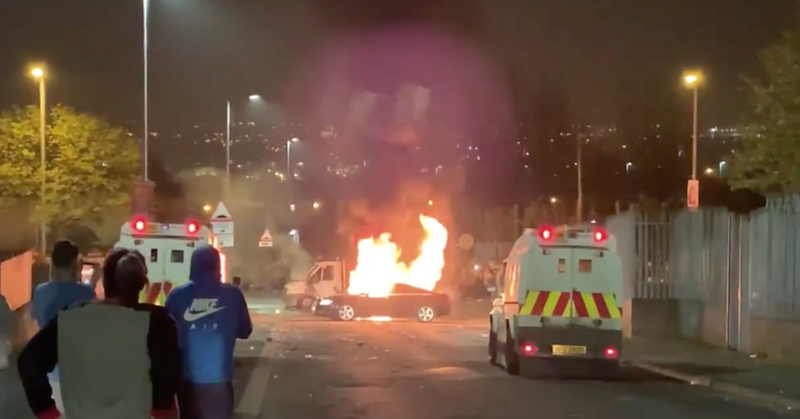 "Northern Ireland's troubled past was killed Thursday night in the latest in a series of militant escalations that are increasing in frequency as the United Kingdom and #Ireland reckon with #Brexit ." A number of stressors, chief among them the political instability that comes from the U.K.'s ongoing Brexit struggles, may be to blame for the recent uptick in unrest. "Martin Sonneborn, a long-time contributor to Spiegel and ZDF, used his time to tell“a couple of words to the Brits who are likely to remain in the EU until Halloween.” #brexit won't happen. I am "suffering" from Trump fatigue and Brexit fatigue. No more news, please. I will wait until the Americans and the English have figured out how to go on with their position in the world. In the mean time, the rest of us, in the EU, China, Russia, Brazil, Canada, Japan and India, are minding our own business. Let's get on with it, let's fix our own problems, let's see what new alliances we can forge for the future. 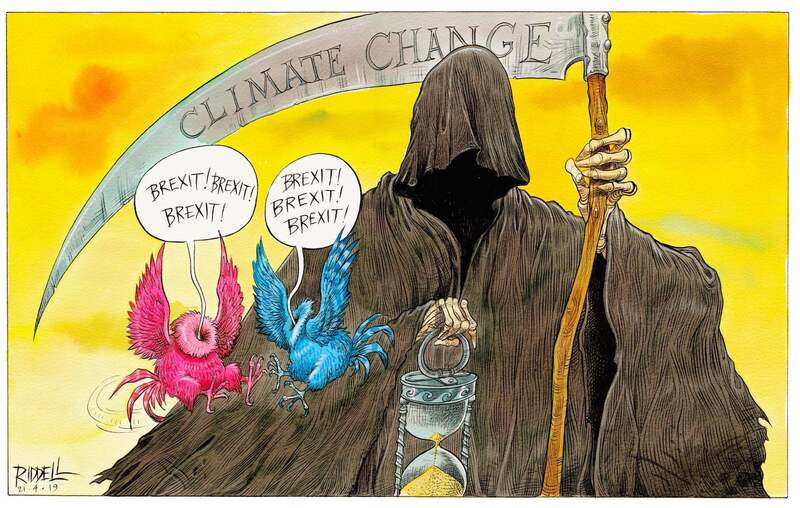 The "conservatives" (conservative only with regard to their (peers') money) plan for fighting the #climateCrisis are as concrete, focussed and effective as UK's parliament's plans for #Brexit? "[...] Wenn ihr (die Briten) Julian Assange an die #USA ausliefert, dann könnt ihr euren dämlichen #Brexit sofort haben, meinetwegen so hart wie möglich." The 16-year-old Swedish climate activist faulted European leaders for not treating the climate crisis like the emergency it is.